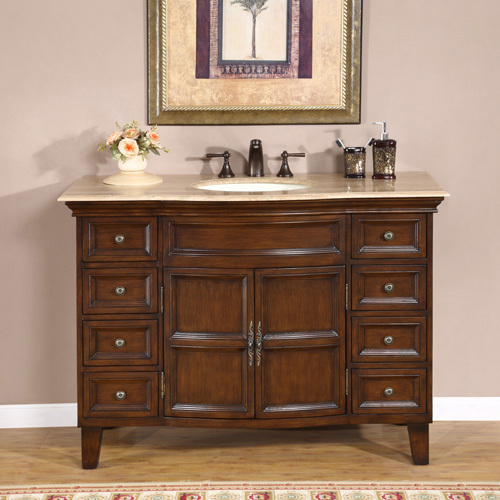 The Paciano Single Bath Vanity features beautiful uses of beveled edges that gives the faces of its drawers and doors eye-pleasing lines. 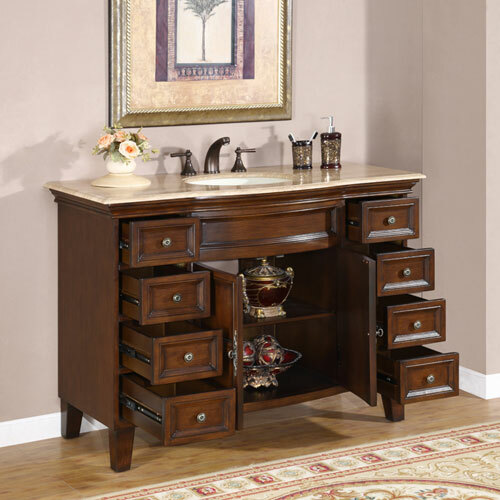 The details are hand-crafted, and the cherry finish is hand-painted, giving each Paciano a unique look. Both Baltic brown granite and Travertine countertops are available with under mount ivory ceramic sink and three faucet holes predrilled. 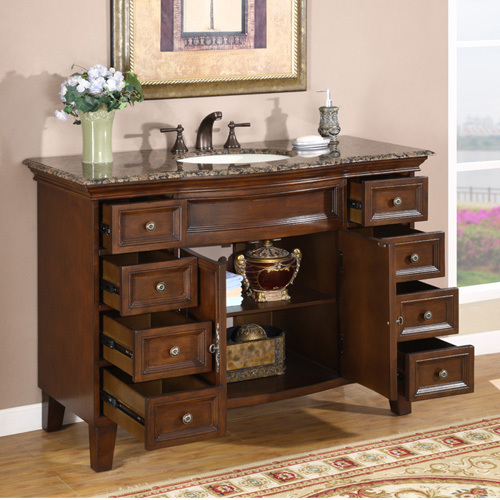 The antique brass hardware adds to the sophistication of this vanity. 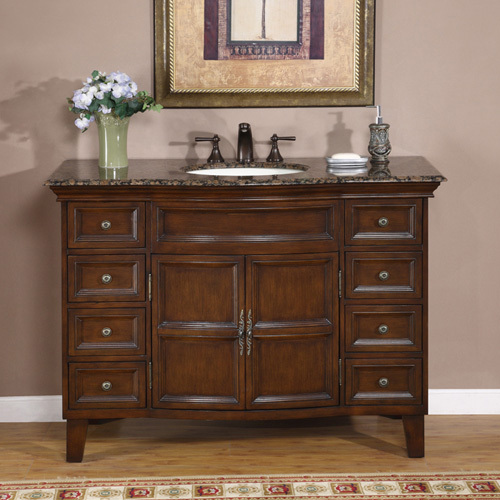 This vanity is perfect for those looking for a great antique or traditional vanity that is not overly ornate.